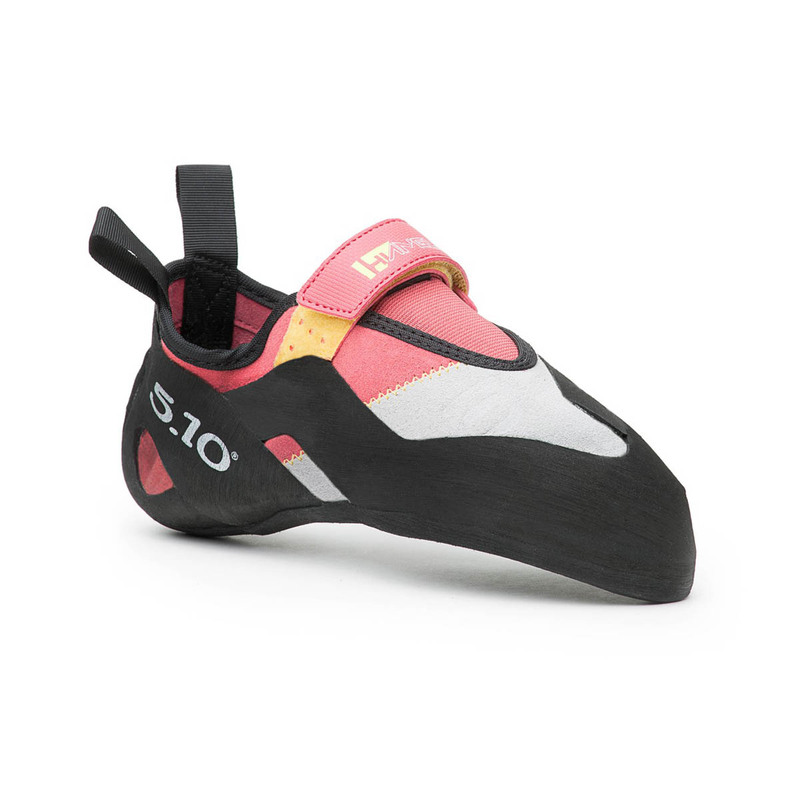 The Five Ten Hiangle Women's features Five Ten's Stealth® C4™ rubber, with a thicker application than most of their downturned shoes (4mm) which give it the stiffest profile, and thus the greatest support of the foot, whilst still maintaining an aggressive line, perfect for the versatile climber who wants a shoe that will perform across a variety of different mediums with a balance between all-day comfort and performance. 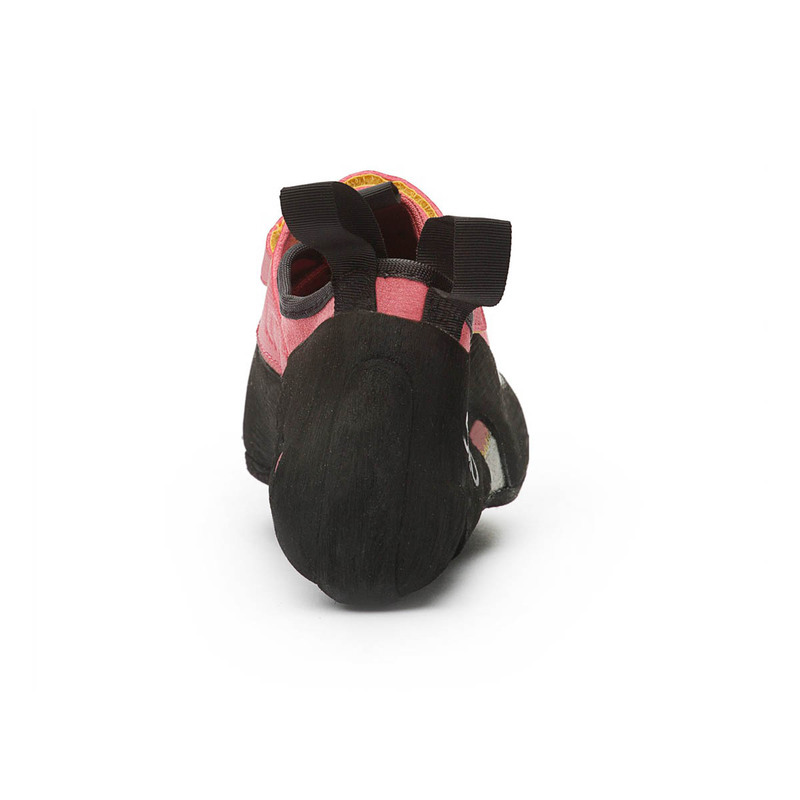 The unlined leather upper will stretch about a half-size, and the single Velcro closure is designed for comfortability and ease of access. C4™ performs well both indoors and outdoors by blending friction and durability, and has exceptional edging performance. 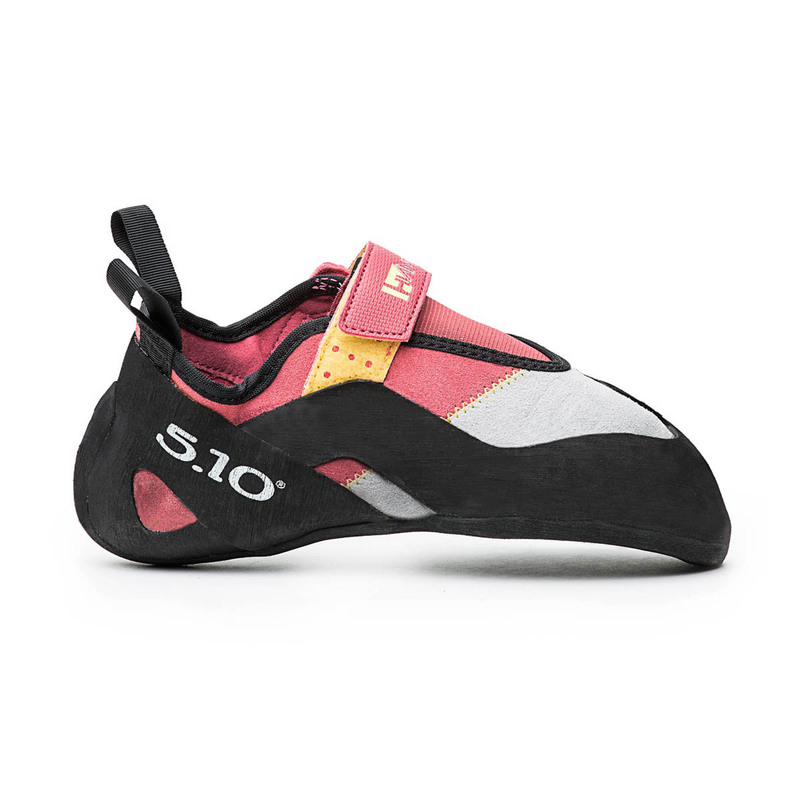 Been climbing for 6yrs and do mostly bouldering. 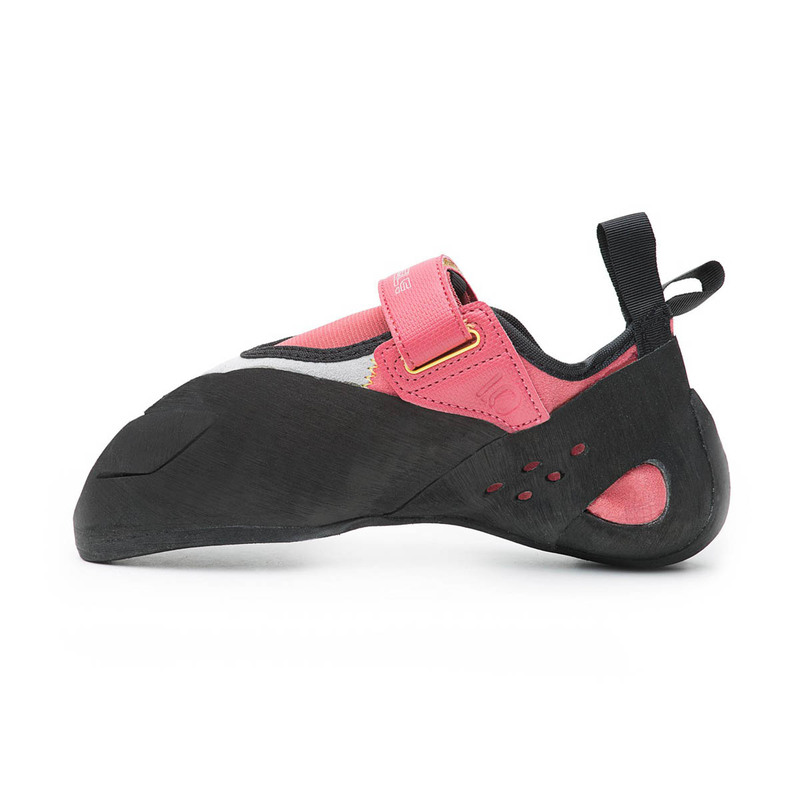 The shoe has excellent rubber as most 5.10 shoes do, this shoe is a good compromise between comfort, precision and aggressiveness. 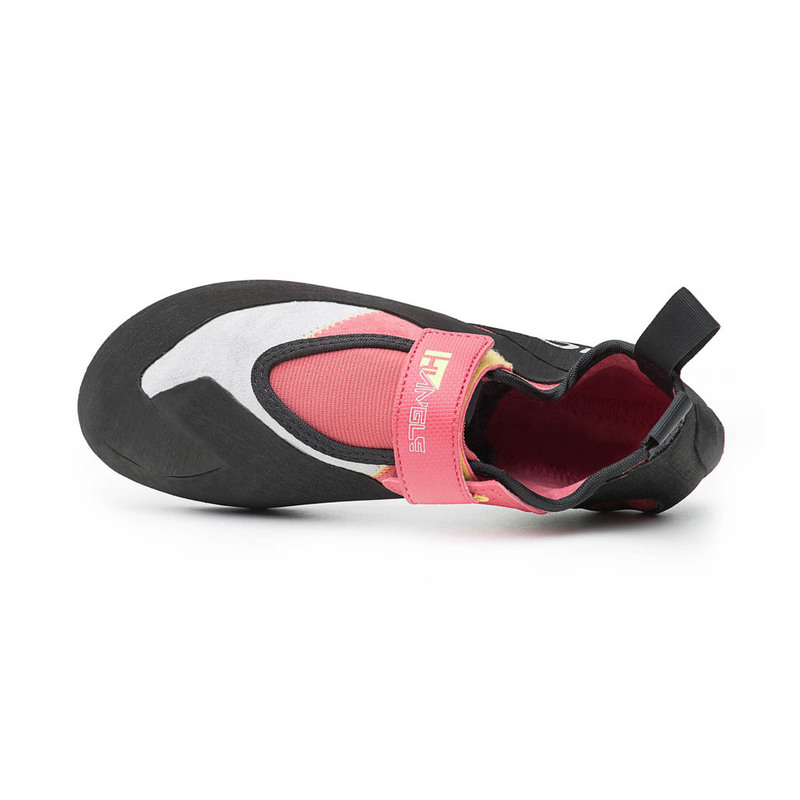 I find it works perfectly fine both indoors and outdoors, it provides quite good support, is quite stiff and therefore not the optimal shoe in terms of sensitivity but that depends a bit on your style of routes. 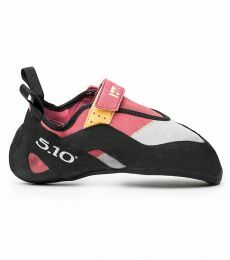 My first pair lasted for about 10months with bouldering 3-4 times pr week so quite durable I would say. The main issue when it was worn out was the leather around the ancle stretching and also I tend to toe hook a lot so the rubber on top wore down. 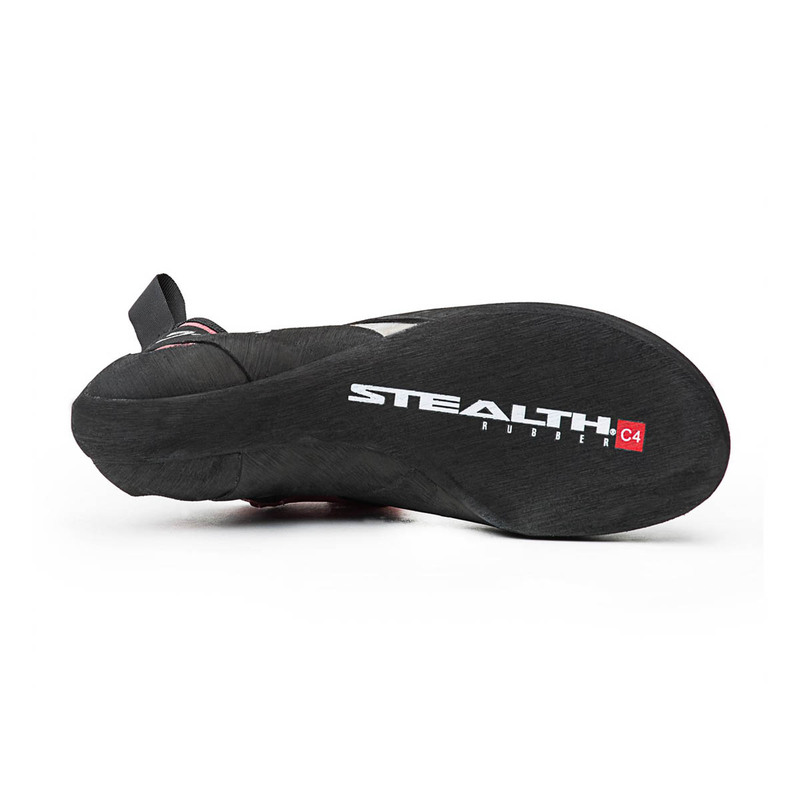 The shoe itself does not stretch a lot so opt for your correct size from the beginning. 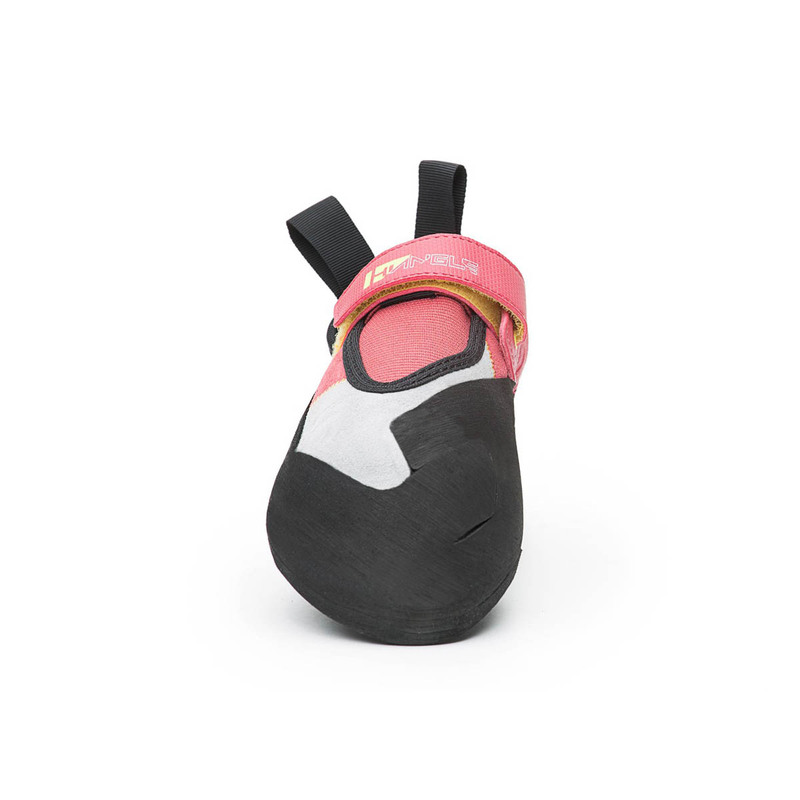 I have been wearing Blackwing for the last 3 years however it seems that I will switch to Hiangle at least for bouldering. Regarding size I wear the same as on Blackwing.